Army List Review, Podcast, Tournament Coverage 0 comments on Episode 61: Midwest Meltdown! … Russ is joined by two special guests to discuss the Midwest Meltdown. We are joined by Domus who organising the event and also Brad who ended up emerging victorious at the Meltdown with Nagash. 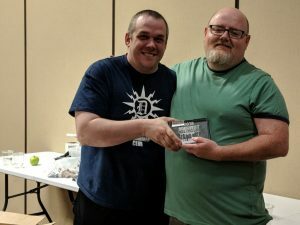 We discuss the event, lists as well as AoS and backgrounds to both guests, I wanted to cover some US events on the show and what better way to do this than to get it direct from the TO and Winner!